Completed home 4-2019. Charming NEW SUBDIVISION, of 9 homes in a GREAT CENTRAL LOCATION. All SINGLE story 3 and 4 bedroom homes with 2 car garages. 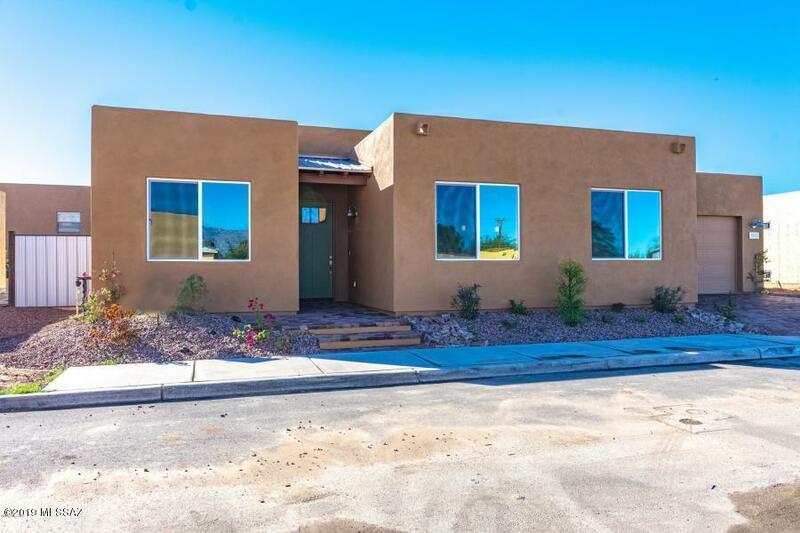 DESIGNED in keeping with Tucson's BUNGALOW MODERN look. Offering 2 floor plans just over 2000 sq.ft. OPEN PLANS with GORGEOUS kitchens finished with GRANITE counter-tops, HIGHLY efficient and EXTREMELY well insulated homes, TILE SURROUNDS in baths and beautiful standard floor tile, TANKLESS gas water heaters, CONCRETE PAVER driveways, porches/sidewalks and many other FABULOUS STANDARD FEATURES. COVERED patios with FENCED yards great for gardening and/or relaxing. FANTASTIC location close to shopping, hospitals and many other conveniences. Owner related to Listing Agent.